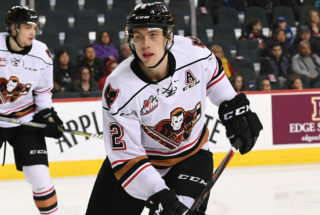 The Calgary Hitmen picked up their fourth consecutive pre-season win after defeating the Oil Kings 6-2 on Saturday night. The charity game presented by Heather Dougall of Royal LePage Benchmark was played at the Carstairs Memorial Complex with all proceeds directed to STARS Air Ambulance. 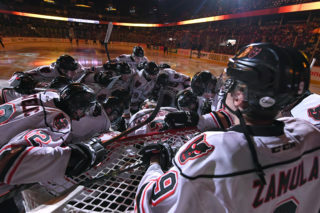 With the help of volunteers and the local community, the Hitmen raised over $12,000 for STARS through ticket sales, a silent auction and proceeds from the 50-50. 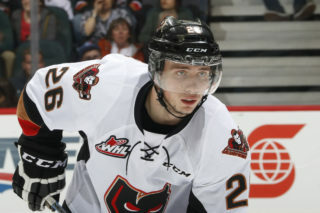 Zach Huber had a game leading three point effort for Calgary, scoring a pair of goals just 11 seconds apart in the second period and adding an assist. Luke Coleman (1g,1a), Jackson van de Leest (1g), Ryder Korczak (1g) and Orca Wiesblatt (1g) rounded out the scoring for the home team who maintained their lead gained after Korczak’s goal 18:26 into the second period. 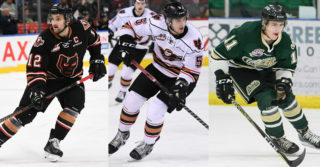 Liam Keeler (1g) and Jalen Luypen (1g) each chipped in a goal for the Oil Kings who are now 1-3 in the pre-season. 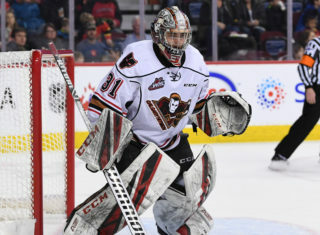 Matthew Armitage and Carl Stankowski combined for Calgary to make 38 saves on 40 shots while Todd Scott went the distance between the pipes for Edmonton, turning aside 28 or 34 shots. Calgary was 3-7 on the power play while Edmonton was 2-10. The Hitmen, now 4-0 in the pre-season, will face off against the Kootenay ICE on Friday, Sept. 14 at the Eddie Mountain Memorial Arena in Invermere. Game time is 7:00 p.m.